Help Build the Friendship Campus! Make a donation and give friendship and opportunity to individuals with special needs. Donors leave their mark on the community by helping to provide better care, state-of-the-art facilities, and expanded programs. 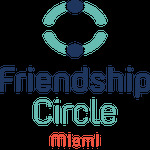 Our Donor Recognition programs are designed to acknowledge the generosity and impact of gifts to the Friendship Circle. Donor recognition exists on many levels, and there is a wide range of Friendship Circle levels where donors can leave their mark. Would you like to be called to discuss your donation? A copy of the official registration and financial information may be obtained from the Division of Consumer Services by calling toll free within the state (1-800-435-7352). Registration does not imply endorsement, approval or recommnedation by the State; #CH42247.